I live by the sea in Kent in England, near to the cathedral city of Canterbury. When I am not working, I love going to the beach and watching people playing with their children and dogs. This gives me inspiration for the characters in my illustrations. I have illustrated many books in the Usborne ‘Make and Do’ series, including the award winning ‘Science Things to Make and Do’. Much of my recent work has been illustrating for Blake Publishing in Australia, including a series of eight books in the ‘Saddleback Stables’ series. These stories are set in the Australian bush about the adventures the children and ponies have together. As all my work is digital, this makes editorial changes simple to do and available for a worldwide cliental. I work flexibly using my creative skills and imagination to present your commission at its best. Paying attention to any cultural differences, or sensitivities, unique to your project. Please see the endorsements below from my many satisfied clients. 'Working with Molly is an absolute pleasure. She is friendly and professional, asks all the right questions to ensure her work meets the brief, and delivers promptly at every stage. The illustrations she produces for Girlguiding are always colourful, creative and inspiring – perfect for our brand!' Jessica Feehan, Project Editor. 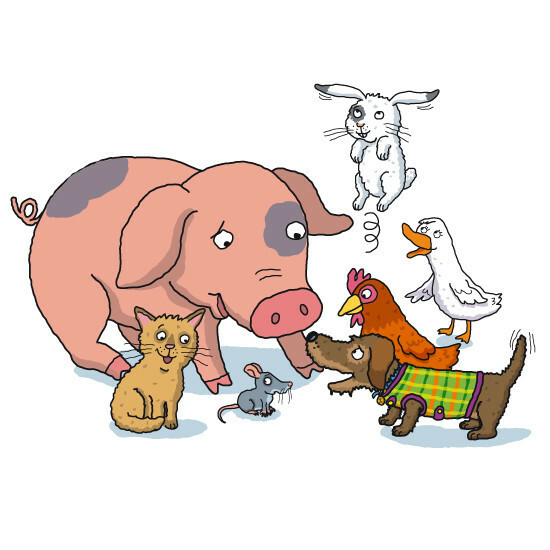 'We really enjoyed working with Molly who created a stunning collection of illustrations for our promotional story book ‘Where is Seymour’s Scarf?’ Molly was extremely accommodating despite our frequent requests for changes and additions. Her patience and artistic talent, including the ability to in still the stars of the story with their own little personalities, resulted in a unique book that really brought our little Clayesmore tale to life!' Clayesmore School.